Implant Supported Dentures are very similar to that of regular implants. However if you are missing all of your teeth, this may be a better solution than traditional dentures. The appeal of this is that they are permanent dentures, which are far more comfortable, stable, and durable than it’s original counterpart. It is no longer as difficult to eat certain foods, and much easier to maintain. On a health related note, implant supported dentures will prevent the deterioration of the bone surrounding tooth roots. 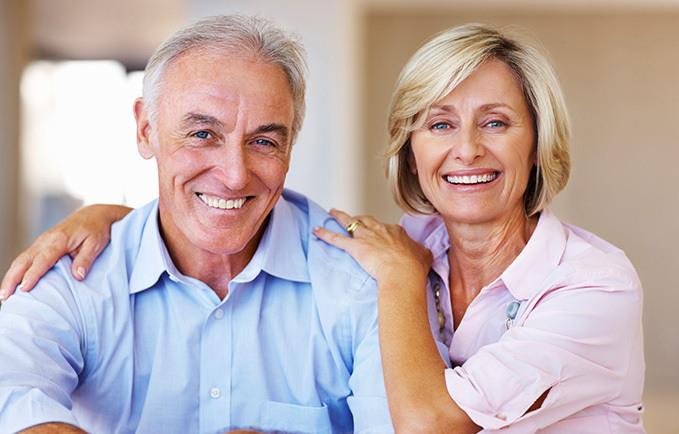 Denture implants are extremely similar to dental implants because they require posts (at least two) in the jawline. The base of the Denture is made of acrylic and made to look like a natural gum base. Whereas acrylic or porcelain usually make up the ‘teeth’ themselves. These dentures will anchor themselves onto the implants and not rub like a normal denture does. As a result, this makes these more permanent dentures. Call American Dental Solutions at 1-844-9smiles to schedule your free consultation.